My first dance class this New Year took me back to the very beginning of my Paris dance experience, where it all began in September 2014: the beautiful Centre de Danse du Marais. Back then, we were a few days shy of our one month anniversary of moving to France. Everything was so new and we were still in the ‘honeymoon/feels like vacation’ phase. We were still living in our temporary apartment on Rue Pernety, a charming, loft-style space with worn hardwood floors, a spiral staircase and much more of a neighborhood night-life than we’d bargained for. Public transit was so daunting; I would look up my routes well in advance and make meticulous notes in my phone. We didn’t even have French phone numbers yet, let alone decent data plans, so any and all transit apps were out. I got by on the wifi in our apartment and the occasional functioning off-line map. I was a bundle of nerves leading up to that first class: on the one hand, I was anxious about getting there on time, having to speak French at the front desk, finding the right studio, and actually doing the class itself – what if the instructor spoke too fast? Was my technique up to ‘snuff? What if I got injured? 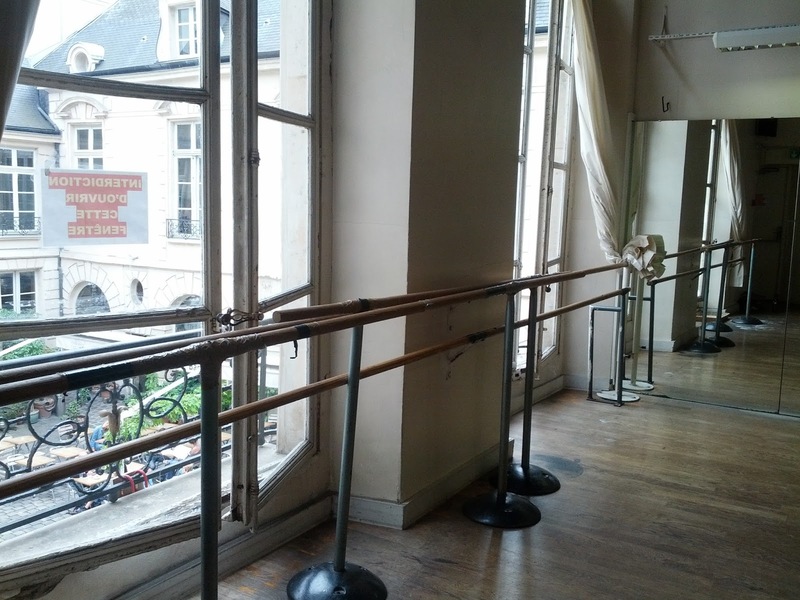 But on the other hand, I was so excited to be finally taking a ballet class in Paris, at this historic dance center, in the land where ballet originated. My excitement won out over my anxiety; I went for it and I loved it. My experience in that first class was a victory on many levels: my street-smarts, my French and my technique. It proved I could figure it all out and make it work. I could dance here and feel at home, so I could live here too. But that was then. What about now? Two and a half years into what will now be a five-year stint in France, we are settled squarely into our real life here; ‘real life’ being work, baby, groceries, cleaning the bathroom, changing diapers, paying taxes, endless French bureaucracy/paperwork and lingering homesickness. We are well beyond the ‘honeymoon’ stage. We live in the suburbs, where we’re close enough to the city that we can go in for a day and still marvel at all it has to offer, but then go home where it’s quiet. Public transit is so integrated in our daily lives, it’s actually fun to try different routes to get places. Now when I leave my house, all I worry about is getting somewhere on time, not getting lost. And apparently, my French has also changed over the years. Aside from that one weird time someone thought I sounded Portuguese (? ), more people ask if I’m British, not assume I'm American. These changes happened gradually, as life unfolded itself day by day. But I was hyper-conscious of them as I made my way back to Le Centre. 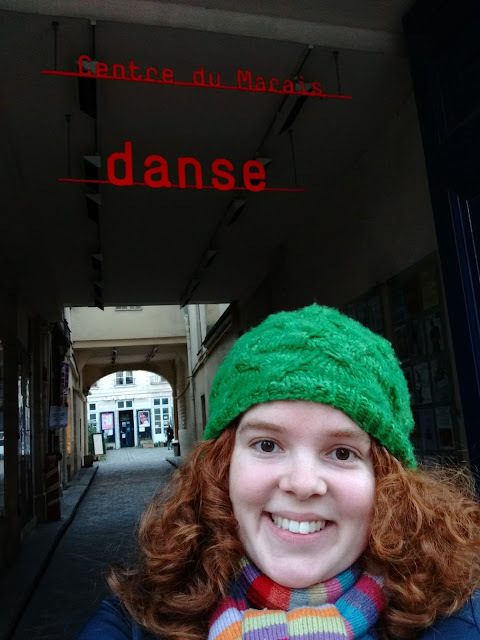 I strode in confidently from a direction I’d never taken before, spoke French to everyone, found my class without any fuss and got down to dance class business. 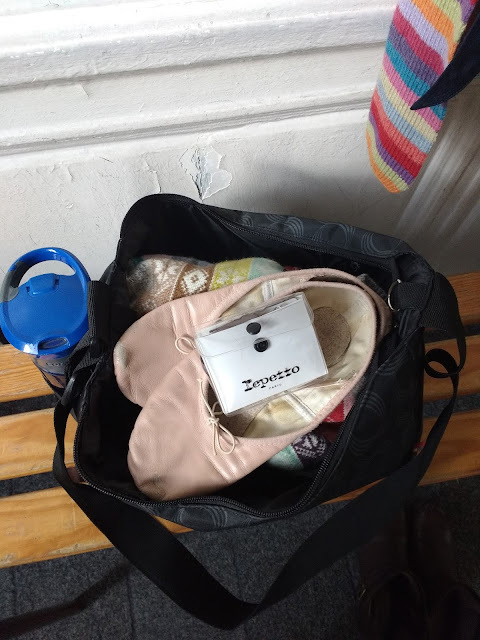 I was still nervous, since it was my first post-baby dance class, but I found out quickly I didn’t need to be. The exercises were straightforward and not overly complicated, but still technical and challenging. We spent a few minutes really breaking down the ronde de jambe exercise and reviewing the key elements: rotate from the hips, pull up out of the supporting leg, engage the abs, etc. It was a great refresher for my dancer brain, as well as my body. The music choices were spot-on. I couldn’t help grinning as we did our frappées to a piano version of ‘Everything is Awesome’ from the Lego Movie and some center exercises to Taylor Swift’s ‘Shake it Off’. Who wouldn’t love that? What a wonderful feeling, after constantly negotiating the changes in my life, to discover the essence of some things is exactly the same. The class was still great. The instructor, Laurence, the same from last time, was still welcoming and supportive. I still love to dance and my technique is still good enough. Only this time, it wasn’t about proving that. It was about revisiting the fundamentals, finding my center and building on where I was at that moment. It was a very ‘yoga’ perspective to have in a dance class. It also still felt like home, which is such a joy and comfort these days. Sometimes, it’s important to get back to basics - to go ‘home’, check-in and see how far you’ve come – and use all that to keep dancing onward.